Colorado Disaster Cleanup Services offers emergency response to flood and water damage disasters. Our Denver water damage restoration team can get your home or office dry and repaired. Water can have an incredibly destructive impact on the structure of a home. Whether your water loss is large or small it is important to make sure that both obvious and hidden damages are identified correctly to help ensure the safety and integrity of your home. Colorado Disaster Cleanup Services serves residential and commercial disaster recovery services from Fort Collins to Colorado Springs, including the entire Denver Metro area. Click here to see all of cities that we currently service. When it comes to cleaning up water damage, especially when dealing with basement flood damage, it is important to get the water cleaned up as fast as you can. Leaving your basement wet is only inviting more problems to occur. For example, a wet wall can lead to damage to the framing and drywall of your Denver home. Also, people sometimes don’t realize when water damage effects your subsection. A wet crawlspace can lead to mold damage, and a wet carpet can leave a mildewy smell and ruin the floor beneath. The Denver Metro area chooses Colorado Disaster Cleanup Services because we know that removing the water is only half of the problem. Our approach is about water damage restoration. This means we properly dry out the entire affected area. This is the best way to guarantee that there is no mold or mildew problems that may occur down the road. If these steps are not performed properly then moisture can be trapped in walls, concrete, carpet fibers, wood and drywall that will eventually turn into mold. When your property call for emergency water extraction now, then you can call our disaster recovery technicians 24 hours a day, 7 days a week and one of our specialists will get started on your water damage extraction process ASAP. Colorado Disaster Cleanup Services only uses the most hi-tech equipment and water damage removal procedures to get the water out. Colorado Disaster Cleanup Services only hires high quality technicians with many years of experience. That combined with our state-of-the-art water damage equipment will ensure the cost will remain low for you. When you have no time to figure out who will come and remediate your flood problems, then you are at the right site. We never take advantage of your misfortune by overbilling. We will get your flood water extracted and dried before it’s too late. Colorado Disaster Cleanup Services has technicians ready to be at your home or business NOW. Take a look at our top of the line water damage equipment. We offer upfront estimates and phone consultations. If you notice you have standing water in your basement, its a good idea to give Disaster Cleanup Services of Denver a call right away. 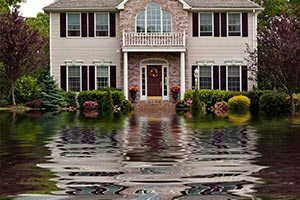 We can send a Denver water damage restoration crew to your home immediately, and can be to your Denver area home in an hour or less. Sometimes, especially if you live in a condo, the source of the water damage might not even come from your own home. You may see bubbles in your ceiling, indicating that you may need wet ceiling drying. We dry out any area of your home, from wet hardwood floor drying, to wet flooded crawl space drying. Give us a call today. Call Disaster Cleanup Services for all of your Water Damage Restoration needs! Disaster Cleanup Services is happy to offer water mitigation services to the Denver and surrounding areas. When a disaster strikes, it is important to be prepared. By acting fast, you can save many of your valuables. Water mitigation should only be handled by a certified disaster cleanup service. Our process uses quick action to reduce and prevent the volume of water damage that happens during a flooding disaster. Flooding disasters can be caused many different things. From faulty appliances to broken pipes, water can cause devastating effects if not handled properly and in a timely manner. Pipes don’t just break in the winter. 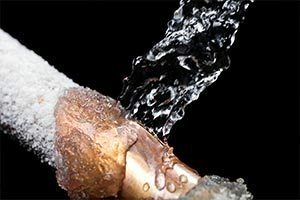 Frozen pipes are a major concern when it comes to water damaging your home, but pipes can also just break. It is important to check your pipes regularly and to ensure your pipes are insulated during the winter. Running water through your pipes can also help them from becoming frozen. If you do happen to have a frozen or broken pipe, give Disaster Cleanup Services a call. Our team is able to handle the broken or frozen pipe and minimize the water damage. We service the entire Denver area and our team is fully certified and insured. Above are just some appliances that can cause water damage. 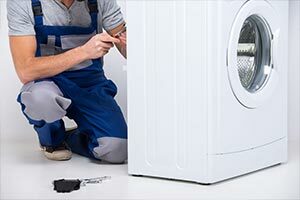 If you are in the middle of water damage because of a failed appliance, give Disaster Cleanup Services a call. Our team will be out quickly to assess the damages and ensure your home is returned to its original state. 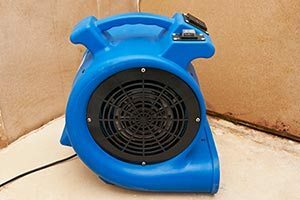 Our team has the proper equipment for water mitigation and water damage restoration. 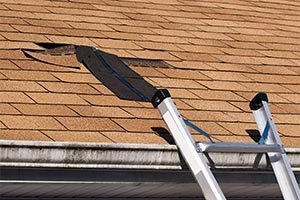 Storms can easily rip off the shingles from your home. They can also cause limbs to fall and damage your roof. If you notice discoloration on your ceiling, you should call a professional immediately. This means you have a roof leak. If handled quickly, you will avoid costly repairs to your Denver home or business. Disaster Cleanup Services is here to handle all types of water damages. We will work with you and your insurance company on any water damages and roof damages you may have. Some roofs are older and leaks happen, if this is the case, call us immediately. We will minimize the damages and handle the water cleanup and restoration at a fair price. Recently, storms have been causing a lot of flash flooding. This is not safe for you or your family. If your Denver home or business experiences any type of flash flooding, it is important to move to safety. Once you are safe, you should call a professional water mitigation and restoration company, such as Disaster Cleanup Services. Our team is trained and highly knowledgeable when it comes to flash flood damages and how to handle the cleanup and restoration. Time is always of the essence when dealing with any type of water damage, but with flash floods, your safety should come first. Give us a call as soon as you can and let our water damage experts handle your insurance company and the water damages. Sewage cleanup is a dirty and hazardous job, that should only be handled by a certified sewage cleanup company. 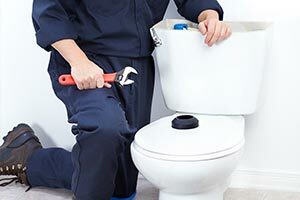 If your Denver business or home has any type of sewage problem, give Disaster Cleanup Services a call today. Sewage contains bacteria and can cause you to become sick if you are exposed. Our team has the proper equipment and suits to ensure that the sewage is removed and that your home or office is safe again. We also have the proper licenses to remove and dispose of sewage. Let us handle the removal and cleanup of the sewage, while you focus on other important things in your life.